There’s less than two weeks until the first legislative funnel of the year. What is the “funnel” and why does it matter? The funnel is essentially a deadline in the legislature. If a bill fails to make enough progress by the funnel date it’s considered dead for the year. It’s a way for lawmakers to keep focused on bills that have potential for passage and keep them from getting bogged down by an unending barrage of new bills. The first funnel is March 3rd. We need our bills out of committee by this date. So far we’ve seen a lot of pro-gun owner bills introduced but what we haven’t seen is any of them advancing out of committee. We’re getting down to crunch time, less than two weeks until the first funnel. We fully expect to see a lot of activity on gun-related bills in the next couple of weeks. We’ll be emailing you with updates and directions on how to help as things develop. PETITION – The Iowa Constitution Has No 2nd Amendment – FIX THIS! In the mean time please sign our petition in support of adding the Right to Keep and Bear Arms to the Iowa Constitution. If you haven’t heard by now Iowa is one of only six states whose constitution does not guarantee it’s citizens’ right to keep and bear arms. In short, there’s no version of the Second Amendment in the Iowa Constitution. It doesn’t take a rocket scientist to realize this is a major problem. Stand Your Ground, Constitutional Carry, Concealed Carry, Open Carry, suppressors, SBRs, the freedom to simply own a gun in Iowa — ALL OF IT, it all requires that your Right to Keep and Bear Arms is written in the state constitution. Currently we have no such protection in here in Iowa. Without this amendment a runaway legislature or activist judges on the Iowa Supreme Court could quickly wipe out all the liberties we currently enjoy. Please encourage your freedom loving friends and family members to sign this petition and start voicing their support. Iowans need and deserve to have their freedoms protected by the Iowa Constitution! We’ve been telling you for weeks, this year’s Second Amendment Day is being held on March 7th at the Iowa Capitol, apparently word is getting around and now anti-gunners are feeling intimidated. March 7th – Second Amendment Day in the Capitol – Be there! More updates to come, stand ready folks! Thank you for continuing to support the Iowa Firearms Coalition! Greetings on this new year! I am extremely excited to write to you today, on this, the first day of the 87th Iowa General Assembly! 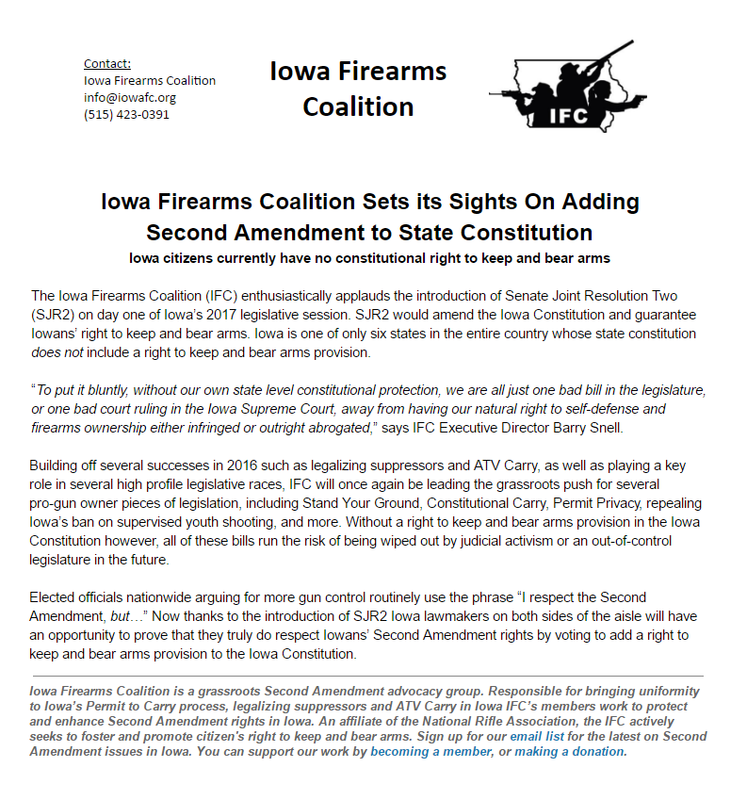 I know we here at the Iowa Firearms Coalition have been relatively quiet in the wake of the recent historic election, in which IFC played a significant role with respect to flipping the Iowa Senate majority for the first time in two decades. As you already know, after years in which the Senate Democrat leadership constantly rebuffed, rebuked and refused to respect your rights, Senate Democrats are now in the minority. I hope that as this legislative session convenes and the Democrats look around for all the missing faces, that they also look to their new minority leader, Senator Rob Hogg, and realize that he and the few radicals in their caucus like him are why their numbers are so few now-why Steve Sodders and Mike Gronstal, among many others, are now sitting at home. On November 8 Iowans sent a message to Des Moines, and in a loud voice you said: Enough is enough! No more games! We demand our rights! Well done, all of you! Our relative silence since, however has been because we’ve been playing our cards close to the chest and doing what we’ve always faithfully done: Quietly working hard with legislators to protect your rights. This is going to be a long e-mail, because I’m going to lay everything out for you.I don’t normally like long e-mails since I know a lot of people won’t read them, but please indulge me and grant me your patience.I have a LOT of important and historic things to tell you about this session that I’m certain you’ll want to know about. I’m going to ask you to join IFC. A lot…Because it’s important.If you’re already a member please consider donating, or perhaps becoming a life member, and accept my sincerest thanks from the bottom of my heart.By your support, you have made it possible for IFC to be so successful.If you’re not a member, though, we need to change that because together we have so much more to do! I’m not only going tell you what our agenda is this year, but I’m also going to review where IFC has been in the past so you can be proud of being a member of this organization.Then I’m going to tell you where we hope to go in the future, so you can see why it’s so valuable to be an IFC member and so you can share the excitement with me.I’ve been the leader of IFC going on three years now, and at no point have I been as energized as I am right now-and I want you to feel as awakened and passionate as I do! So hang in there and bear with me on this one…Let’s do this! WHAT IFC IS DOING IN 2017? On the night of the election, when the results were coming in and it became clear we were successful and had a new Senate majority to work with at long last, board member Richard Rogers and I began making phone calls well into the early hours. Simply put, we got to work immediately, and we’ve had our heads down, noses to the grindstone, working for you this whole time. That’s more than I can say about the other so-called “gun rights group” in this state, which has spent the last many weeks shamefully selling Iowans another packet of lies to increase their bank balance. That said, I am proud to announce that with the eager teamwork of the House and Senate Republican leadership and caucuses, as well as with our partners at the NRA, the Iowa Firearms Coalition will again propose our amendment to the Iowa Constitution that will insert strong protections of our right to keep and bear arms in our highest and most important legal code. You see, Iowa is one of only six states in the entire union to lack a constitutional protection at the state level of what we broadly call “Second Amendment rights”. Why is that important you ask, especially since we have the actual Second Amendment? It’s important because as you know, due to our federal republican system of government, states are allowed to pass most of their own laws-including ones regarding your gun rights. It’s only been since 2010 that the United States Supreme Court has held that the Second Amendment even applies to the states – and so far, the courts have barely begun to determine the actual limits of state power in this area. To put it bluntly, without our own state level constitutional protection, we are all just one bad bill in the legislature, or one bad court ruling in the Iowa Supreme Court, away from having our natural right to self-defense and firearms ownership either infringed our outright abrogated. Putting that into perspective, that means that all the victories we’ve fought so hard for in the past, and all the accomplishments we’re going to make in the future, could all come to naught with a single stroke of a pen or bang of a gavel. Therefore, IFC must shore up the very foundation of our rights by proposing, lobbying for, and achieving adoption of an amendment to the Iowa Constitution that enshrines and protects your right to keep and bear arms, in order to prevent any anti-freedom miscreants from violating or denying your rights in the future. It must pass one General Assembly of the Iowa Legislature.That means passage in both the House and the Senate, like any other bill.General Assemblies are two years long, and this is the first year of the 87th Iowa General Assembly. Assuming it passes the first General Assembly, a constitutional amendment must pass once more in the following General Assembly, meaning our bill must pass again in either the 2019 or 2020 legislative session – after the legislative elections in 2018. Then, assuming it makes it through two General Assemblies, it must go onto the statewide ballot during a general election, which will be in the fall of 2020, and be passed by a popular vote of the people. If our right to keep and bear arms constitutional amendment can make it through those three major hurdles, we will make state history and national news, as amending the Iowa Constitution is an uncommon feat-one which will benefit not only you, but untold generations of freedom-loving Iowans to come. IFC’s members could hardly ask for a better legacy than that! Given the fact that this is an enormous undertaking, one that will take us no less than four years and constant pressure and effort, can you understand then just why I desperately need you to join our team? Richard Rogers and I may lobby the legislature on your behalf, but you are the ultimate source of our ever-growing positive influence. Without you, we are nothing. Won’t you join us, upgrade to a life membership, or donate today? The Youth Safe Shooting and Parental Rights Act – I hope all of you are aware of this piece of legislation by now. We were almost successful in getting this bill passed with the Suppressor and ATV Carry bills last year, however, ultimately we just couldn’t overcome the shenanigans played by former Judiciary Chairman, Senator Steve Sodders. In short, though, Iowa law currently doesn’t allow minors under the age of 14 to handle or shoot a handgun, even with direct supervision by a parent, guardian or instructor. This law, essentially unknown until a few years ago, has made hundreds of thousands of otherwise good, law-abiding Iowans into unwitting felons – and for no good reason! So to right this obvious wrong, IFC is going to eliminate the age restriction altogether, making the law consistent with those pertaining to rifles and shotguns. Logic and a proper respect for parental rights and responsibilities demands it.I know I said I couldn’t speak with any finality about which specific bills would absolutely, positively be on the agenda since the Senate hasn’t finalized their plans yet, but between you and me and all the rest of the IFC family, I think it’s a pretty darn safe bet we’ll see this one not only on the agenda but passed by the legislature and signed by the governor in very short order! Stand Your Ground – This bill needs no introduction or explanation. We have worked on this issue for most of the last decade. Every year we submit it, and every year it has gone nowhere due to the previous radical, anti-freedom Senate Democrat leadership. Heck, it’s such a popular bill that the other so-called “gun rights group” here in Iowa literally copy-and-pasted our bill, word for word, and have tried running it as their own with the support of the one and only ally they have in the entire legislature. The difference is they run it to raise money while accomplishing nothing; IFC runs it to protect and recognize your rights-and this year, it’s game on! We’re going to work harder for this one than we ever have before, and keep your fingers crossed because we hope to take it to the end zone once and for all! Castle Doctrine – Like “Stand Your Ground” this bill also needs no introduction. I will say though that we have met with resistance on this bill for years as well, and will again this year, based on the notion the provision already exists in the Iowa Code. While that may be technically true, the current provision is weak and does not provide what is perhaps the most important part of a traditional “Castle Doctrine” provision: protection from civil lawsuits. With IFC’s bill, we will ensure that if you are in a self-defense shooting and you are not charged with a crime or convicted in a court of law, you will be rightfully protected from further bankrupting and emotionally draining civil suits, so that you and your family can move on and recover from the traumatic disruption to your lives. Constitutional Carry – Yet another bill that needs no introduction, and like all the rest, yet another bill we have run for the last many years, only to be blocked over and over again by the former radical Senate Democrat leadership. If and when we are successful with this bill, law-abiding Iowans’ natural and fundamental right to self-defense will at last truly be respected, allowing all Iowa citizens with a legal right to possess firearms to carry them without a government tax and permission slip. And yes, even if we get this bill passed, we will maintain the current permitting system because constitutional carry would only apply within Iowa’s borders; for the time being Iowans still need a permit to carry in the other states that recognize our permit. Preemption Reform – The Code of Iowa clearly states that towns, cities, counties or any other political subdivision of the state may not regulate firearms more restrictively than does state law. In other words, firearms laws are preempted to the state. 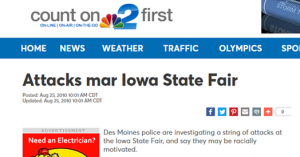 That means that the Iowa Code rules supreme regarding things such as carry permits. However, some cities and counties have attempted to enact their own anti-gun policies, such as creating ridiculous and ineffective “gun free” victim disarmament zones. Yet our do-nothing anti-gun Attorney General Tom Miller pretends to see nothing and ignores these blatant civil rights violations. This bill will fix that by making it clear, in certain terms that no tricky lawyer like Miller can weasel around, that state law does and will reign supreme in gun rights matters, and that no small town council will violate the rights protected for Iowans everywhere else. There might even be a penalty clause for violators worked in there too. We’ll see! Teacher Carry / Regents University Carry / State Facilities Carry – In what will perhaps end up as a portion of the Preemption Reform bill since they’re related issues, we intend to propose legislation to better allow school teachers to carry, eligible faculty, staff, students and visitors at Iowa’s Regents universities to carry, and of course, allow Iowans to carry in public places such as the Iowa Fairgrounds. This will no doubt be controversial, but it’s the right thing to do. So-called “gun free zones” are clearly a failed feel-good experiment that accomplishes nothing but to deny good and decent people the legal right to defend themselves with the most effective means possible. This is wrong, it is immoral, and we’ve got the courage to fix it. Parking Lot Prohibition Reform – Many employers prohibit employees from storing firearms in their vehicle while that vehicle is parked on the business’s property. We here at IFC strongly believe in and support the fundamental right to property, and we recognize the perception that this is a property rights issue from the business owner’s perspective. However, the United States Supreme Court has ruled many times that a person’s vehicle is an extension of their home and that the individual’s own property and privacy rights are retained in their vehicle. This is why the police need a warrant or permission to perform a search of your vehicle without legitimate cause, even though the vehicle is in public. 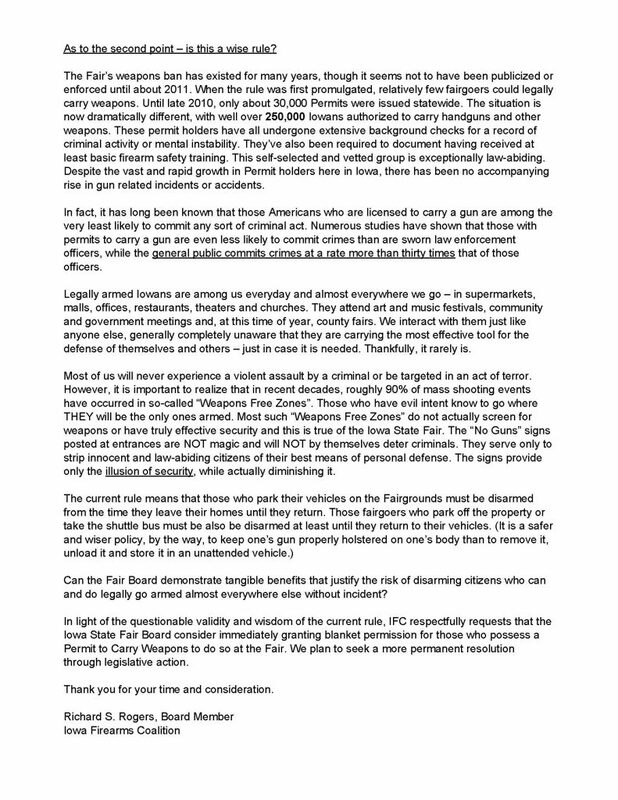 Given this fact, IFC intends to assert and protect the individual’s right to keep a firearm in their vehicle regardless of where it is parked. From a practical perspective, this will best observe the rights of those who wish to carry or go hunting once they get off work, for example. Permit Privacy and Information Protection Act – Simply put, because your permit to carry or permit to purchase is a government document, anyone, such as a reporter or a criminal, can walk into your county sheriff’s office and request the list of everyone in your county who has a firearms permit. This list has your complete name, your address, your date of birth, your phone number, even your email address if you provided it when you filled out your permit application…Basically, it’s a complete catalog of biographical information that allows the media to harass gun owners or a burglar to create a shopping list. Our bill will completely change this, making your information private and eliminating the ability of anyone off the street to walk in and get it. Permit to Carry Renewal Process Fix – Know how the renewal process for your carry permit is a bit goofy? That’s the result of an ill-thought out eleventh-hour amendment on the floor of the Senate during the Shall Issue vote, way back in 2010. The bill language was perfect before, but as usual, some senators just couldn’t leave well enough alone and a do-gooder messed it up. This bill will at long last establish a sensible renewal process. Bowhunter Carry – In short, bowhunters aren’t currently allowed to carry if they are bowhunting. This bill will change that, thus observing your right to self-defense at all times, even while you are hunting with your bow. Short Barreled Rifle Legalization – This one needs no explanation. And maybe, just maybe, you might be seeing other NFA items in this one as well. There you have it. That’s IFC’s agenda for 2017-and this year, it is a real, honest-to-God reality, not just optimistic or fundraiser type talk. You have my word; everything I’ve listed here is legitimately on the table and has been talked about in real terms, as actual bills, amongst the House and Senate leadership, the NRA, and IFC. At this point, while I can make no hard and fast guarantees, I have nonetheless had countless phone calls and meetings about each and every one of them. Now I ask you: Can you see why I need you to join IFC, become a life member, or donate? Folks, what we’ve got planned will be hard and will take time and lots of effort, and that all requires both financial and manpower support. Won’t you please join the team? We seriously can’t do it without you, and that’s not just a platitude! Are you with me? I’ll be the first to admit to you that IFC does a pretty poor job of owning our accomplishments. That’s unfortunate because we’ve got so many reasons to be proud! So let’s go down the list real quick and see where we’ve been, and hopefully, make you proud to be an IFC member like I am-and mind you these are the things that actually made it out as actual bills; we pushed for many other things during these same periods too! Show me another organization in Iowa that has accomplished all that, especially given the very challenging and toxic legislative environment we had to work within. That IFC got anything done is a testament to our quality and to your continued support. There’s a LOT to be proud of there! Again I ask if you’re not already a member, why not? If you let your membership lapse, why haven’t you renewed? Won’t you join us? IFC is the only gun rights org in Iowa actually getting anything done. We don’t only talk the talk; we walk the walk too, so it only makes sense to support us so we can keep up the good work! We’re the only good investment in the state, and you actually get results for your buck with IFC. Our history proves it. So now that we’ve talked about what IFC is doing right now, and where IFC has been, let’s talk for a minute about what I envision our future to hold. Someday we’re going to get most or all of what we’ve striven for legislatively all these years. Heck, this year could even be the big year. Once we achieve total legislative success and we find ourselves the dog that caught the car, what then? What does IFC’s purpose become? The next natural step for IFC would be to reduce our present major focus on legislation, and pivot instead toward an emphasis on supporting and cultivating Iowa’s shooting culture and sports, and establishing a permanent election apparatus to ensure pro-freedom, pro-gun candidates and incumbents get elected, and anti-freedom, anti-gun candidates do not. Continue working on the lesser legislative issues that will always need tending to, being ready to defeat any anti-gun legislative challenges that arise, and establish a permanent, long-term election and campaign funding apparatus – An extension of our PAC, this side of IFC would assume many of the lobbying duties IFC has traditionally performed so well, but remain in operation all year. In addition, it would engage in year-round political fundraising, identify and cultivate pro-freedom candidates to run for office, and of course, support their campaigns, as well as those campaigns of pro-freedom incumbents. The persistent goal would be to keep the Iowa Legislature sympathetic to Second Amendment virtues so IFC could focus on supporting Iowa’s shooters in more tangible ways, such as those listed below. Funding and assisting youth and collegiate shooting – Young people are our future, and every one of us has encountered the slogan, “take a kid shooting!” at some point. As Ronald Reagan so astutely observed, “Freedom is never more than one generation away from extinction. We didn’t pass it to our children in the bloodstream. It must be fought for, protected, and handed on for them to do the same, or one day we will spend our sunset years telling our children and our children’s children what it was once like in the United States where men were free.” If we don’t introduce our youth to shooting, at some point the anti-gunners will win with their persistent efforts to reform our culture and make shooting “weird”. IFC, being a statewide organization of influence, is in a position to facilitate funding high school and collegiate shooting programs, and even perhaps offer scholarships.From talking with several coaches across Iowa, I know that most shooting teams struggle for funds and are desperate for equipment, ammunition, and even just basic support to get to matches.Stepping up and providing this kind of financial and material support is a huge opportunity for IFC to truly and genuinely make a difference–and not just today, but for generations. Support statewide ranges – Let’s face it: Most of Iowa’s ranges need help, what relatively few of them we have. Most of our state’s ranges are small, rural county affairs, with little financial support or income to provide for even basic repairs or improvements. For example, I’ve been in contact with a manager of one range in eastern Iowa whose 25-yard pistol range persistently floods. That is an especially big problem right now because it flooded before the freezing temps came, turning that range into an ice rink, thereby closing it down even over the winter. He’s priced the work to improve the drainage, but it will kill their tiny annual budget.We can do better. With IFC’s statewide presence, members who work in the construction trades, and our industry connections in general, we are uniquely positioned to assist Iowa’s ranges to maintain themselves, and to improve and even expand available programs. As another example, a complete set of steel targets that would accommodate a variety of competitions costs only around $3,000. However, that is most or all of many ranges’ annual budgets. If we covered those targets in exchange for range members becoming IFC members, we could have an immediate positive impact on the shooting sports in that area. There are many opportunities here. Bringing regional and national matches to Iowa, making Iowa a shooting destination – As you all know, Iowa is pretty poor when it comes to lots of formal, organized competitions. Like everything else in our sport, coverage is spotty; a few places have great competitions and matches, but the vast majority do not. This needs to change! Everyone in every corner of the state needs to have matches nearby, and a circuit of matches in their area that they can attend. If we can succeed in helping ranges, it’s a natural next step to help ranges succeed by assisting in the organizing and funding of competitions to benefit the entire shooting community at large. Training for trainers – We all also know that the quality of firearms instructors varies dramatically from instructor to instructor. To be perfectly honest, some instructors are great at what they do, and others not so much. In order to help improve everyone’s abilities as instructors, IFC can form a voluntary “professional organization” of sorts for instructors, to collectively develop a set of best practices and begin holding seminars to improve and expand knowledge and teaching skill. Think of it as continuing-ed for teachers, because better shooting instructors mean better students, and better students mean a healthier, safer, and more vibrant Second Amendment community. Annual state and regional Second Amendment rallies – Many of you will recall that until recently, IFC held Second Amendment rallies annually. We had to stop doing them, however, because the event grew beyond our capabilities to host it; we literally outgrew the largest shooting range in the entire state, which put us in a quandary. What do we do? Two main solutions have been derived: Sell only as many tickets as the venue’s capacity, and/or, hold multiple, smaller regional rallies. I’m not against doing both, but organizing a rally is a major undertaking in both labor and expense. Veterans’ affairs – Many of our members are veterans, and many of us in IFC leadership positions are veterans ourselves, so it’s a community we feel very close to. At the very least, it’s a community with which we share common values, values about freedom, love of country, and respect for our Constitution and Second Amendment. So needless to say, it hurts us to hear of a veteran who has committed suicide, or who is having a hard time with PTSD, or anything like that. Once more, I believe a statewide organization like IFC, with so many veterans being part of our family, is well positioned to effectively raise money for veterans’ charities, help provide service animals, hold veterans’ hunts, and do things of this nature which are all a natural fit for IFC’s mission to protect and improve the shooting community in Iowa. Other than helping our youth, what better way to accomplish that than serving those who have served this nation? Encourage gun businesses to open or come to Iowa – Fortunately for IFC, we have made a lot of outstanding industry connections and partnerships over the years, both locally here in Iowa, and nationally. This places IFC in yet another unique position to perhaps someday recruit or help facilitate new firearms related businesses to either open or move to Iowa. There are several other things we’ve got in mind as well, but as you can see from just this list we’ve got big hopes and dreams. I hope I have conveyed to you that the Iowa Firearms Coalition is an organization that cares and is serious about not only Second Amendment issues but helping our shooting community and great state in general. There are so many truly wonderful things we can do together, but in order to even have a chance, to repeat myself one last time, I need you to join IFC if you haven’t already…And if you’re already a member, please consider a donation, or perhaps upgrading to a life membership. And get your family and friends to join too! We legitimately can’t do any of this without you! Well, folks, it was a super long haul, but there you have it. Now you know where we’re at, where we’ve been, and where IFC hopes to go. I genuinely hope you’re proud to be affiliated with us, and that you’re now as excited about our future as I am. We’re going to have a great year, and if I can get the support of everyone reading this, IFC will legitimately be unstoppable for years to come. As always, our e-mail inbox is always open. Just drop us a line at info@iowafc.org, and we’ll do our best to get back to you. Thank you all so much for your support! I look forward to telling you about our many victories in the coming months! Two people in Cedar Falls are in the hospital after being randomly stabbed while in the University Avenue Studios apartments. Police were dispatched to the apartment complex at 4:35 p.m. on Monday, October 17th. Once on the scene they found two victims, in separate units, each with multiple stab wounds. Officers believe the victims were chosen at random. A 47-year-old female victim was taken to the hospital with multiple serious injuries. A 62-year-old male victim was taken to the hospital with multiple potentially life threatening injuries. Meanwhile, police continue to investigate the apparent random stabbings. Right now 28-year-old Adam Jacobsen has been taken into custody. Jacobsen appears to also live in the University Avenue Studios apartment complex. 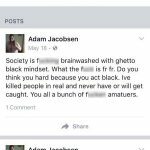 Concerns have been raised after citizens reported alarming posts on Jacobsen’s Facebook page. Posts from earlier this year have the 28-year-old claiming to be “…craving murder.” In another post Jacobsen claimed “Ive killed people in real and never have or will get caught.” Investigators with the Cedar Falls Police Department say they are aware of these posts and they are part of their ongoing investigation. This incident proves once again that violent human beings often defy logic and sometimes you’re just in the wrong place at the wrong time. Being able to defend yourself and your loved ones is each resident’s responsibility. The police cannot be everywhere at once and when trouble comes calling you need to be prepared and able to defend yourself and your loved ones. The Iowa Firearms Coalition will continue to monitor this story and share more details as they develop. Join the Iowa Firearms Coalition for a weekend of food, guns, and great speakers. We’ve partnered with SureShot Range, Jerry’s Machine Guns, Pearson Guns, and Tactical Creations for a rare event, a public machine gun shoot in Iowa. Visitors will have their choice of more than 100 different machine guns to try on a controlled, professionally run range. $15 admission to get in (14 & under – free), belts and magazines of ammo for test firing start at just $15 each. This is a cash only event. The Iowa Firearms Coalition will have a number of pro-Second Amendment guest speakers on hand, as well as a side shoot to raise funds for IFC-PAC. All money raised for IFC-PAC will be put to use getting pro-gun owner candidates elected to the Iowa Senate and House of Representatives. Food vendors will also be on site.